“We guarantee nothing,” (Bradbury 222). This shows that the mood is ominous because Eckels asked whether he would come back alive and the tour guide tells him that he cannot guarantee anything regarding that topic, making us ask ourselves why he would not be alive in the first place. “Mr. Eckels looked at the check. His fingers twitched. Good luck, said the man behind the desk.” (Bradbury 224).This shows that the mood is ominous because the man is saying “good luck” like something is going to go wrong and it also somewhat seems like he’s saying good luck like “haha you’re screwed” which gives the reader a creepy feel. 1. “Eckels, not looking back, walked blindly to the edge of the Path, his gun limp in his arms, stepped off the Path, and walked, not knowing it, in the jungle.” (Bradbury 231). From this quote you can tell that the mood is suspense because he was strictly forbidden not to step on the Path but he did. This probably messed everything up in the future but we don’t know that for sure. We don’t know what is going to happen next which puts the audience in suspense. 2. “The Tyrant Lizard raised itself. It’s armored flesh glittered like a thousand green coins. The coins, crusted with slime, steamed. In the slime, tiny insects wriggled, so that the entire body seemed to twitch and undulate, even while the monster itself did not move. It exhaled. The stink of raw flesh blew down the wilderness,” (Bradbury 231). This quote really shows that the mood is suspenseful because the author is describing this one slow moment in which the beast is crawling with bugs and glittering with slime, and describing its ginormous size, by explaining how when it exhaled, the entire forest smelled the raw flesh. 1. “Eckels moaned. He dropped to his knees.He scrabbled at the golden butterfly with shaking fingers. ‘Can’t we,’ he pleaded to the world, to himself, to the officials, to the Machine, ‘can’t we take it back, can’t we make it alive again? Can’t we start over? Can’t we---’ He did not move. Eyes shut, he waited shivering. He heard Travis breathe loud in the room; he heard Travis shift his rifle, click the safety catch and raise the weapon. There was a sound of thunder,” (Bradbury 236). This tells the readers that the mood is dark because Eckels realizes that the butterfly he stepped on changed humanity in simple ways, but Travis was very angry and made a dark decision, to shoot Eckels, and he heard a sound of thunder. 2. “He returned, shuddering, five minutes later, his arms soaked and red to the elbows. He held out his hands. Each held a number of steel bullets. The he fell. He lay where he fell, not moving.” (Bradbury 234). This quote shows that the mood is dark because Eckels was asked to put his hands in the dead monster’s mouth elbow deep, it was disgusting and cruel. Eckels was so disturbed by what had happened that he just fell on the ground because he couldn’t handle it anymore. He had to pass great extents which scarred him. 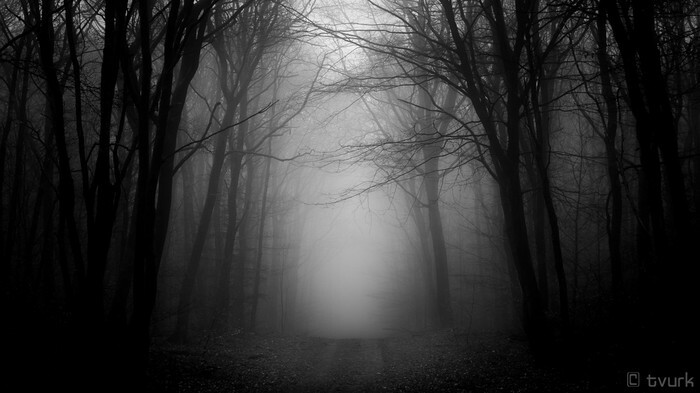 It is a dark forest, that gives off a creepy vibe. The mood here is dark. 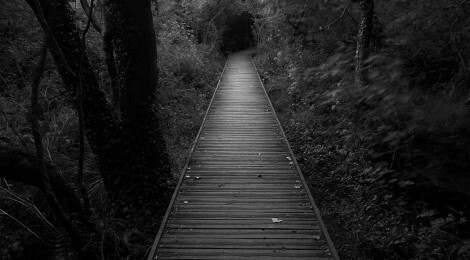 The picture shows a pathway into a dark tunnel. The three moods were not drastically changed throughout the story, they were ominous, suspense, and dark. These three moods gave the story a creepy vibe and really shows the way everything is playing out in the story. These three moods signify that the story is a mysterious and dark story and it’s not some happy, love story. The mood says a lot about this story and even if you went to a random part in the story you would find that the mood is similar to the three that were found in the beginning, middle and end. The complete setting of the story include Time Safari Inc. This is a time travel company which will take you to the past by billions of years to hunt and kill dinosaurs. This leads us to our next setting which a jungle which is sixty million two thousand and fifty-five years old. The setting affects the plot because it puts them in a specific situation. It puts them in the past which says that they can’t step off a specific Path because if you do it would disturb the future. The whole story revolves around them going into the past and Eckels getting educated about why staying on the Path is so important, and then eventually he ends up stepping off the Path. The Path wouldn’t be so important unless they were situated in the past which caused them to follow these specific instructions. Overall, the setting greatly affected the whole story line and the way the story plays out.